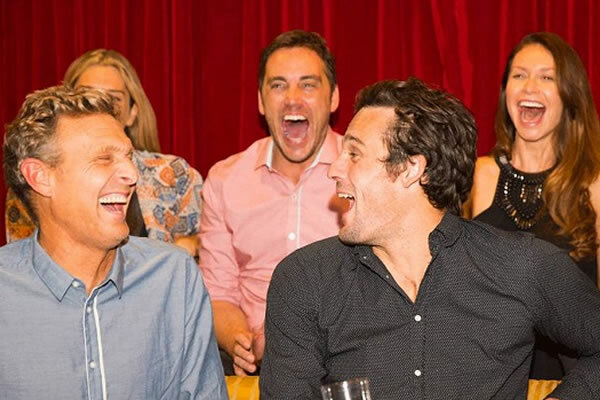 P&O has a large selection of comedy cruises on offer during the 2019 Australian cruise season. These types of cruises are typically 3-4 days in length and depart from select departure ports including: Sydney, Brisbane, Melbourne and Adelaide. A typical comedy cruise will normally include up to 4 Australian comedians onboard the cruise ship, delivering their standup comedy routine in the cruise ship theatre during the evening period. Many famous Australian comedians have performed on these cruises including: Dave Hughes, Jimeoin, Scared Weird Little Guys, Peter Rowsthorn ("Brett" from Kath & Kim) ... just to name a few. One of the most popular comedy cruises each year is The Big Laugh Comedy Festival cruise. This year in 2019 it will be hosted on the Pacific Explorer on 8 June 2019. This cruise includes over 30 top notch comedians onboard over a 3 day period. Click on the following link to book your cabin on the 2019 The Big Laugh Comedy Festival cruise.